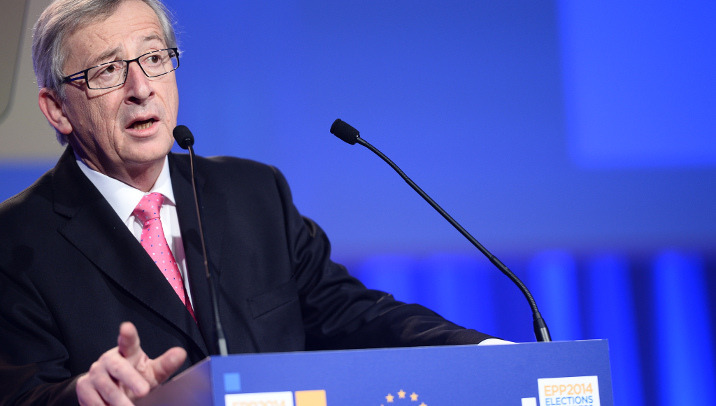 In late 2014, the EU Commission President, Jean-Claude Juncker, announced a €315 billion investment plan. The plan will combine public and private investment into a fund that will operate over three years, from 2015 until 2017. The International Labour Organization (ILO) recently argued that the plan – if properly implemented – should “complement the monetary measures recently announced by the European Central Bank” and could lead to the creation of more than 2 million jobs. However, the new fund will only have an initial starting capital of €21 billion (possibly to be topped up by public investment from EU Member States), as Juncker is gambling on a fifteenfold “multiplier effect” from private investment in order to reach the full amount. And, as of last month, only 2 billion euros have been pledged to the fund. The unemployment rate in the EU currently stands at 10%. Since 2008, the Eurozone has been dipping in and out of recession, and in recent months the spectre of deflation has started to drag on the recovery. Will Juncker’s plan be enough to get Europe out of the doldrums? Austerity is plunging the Eurozone into eternal crisis and stagnation. The question is: can this be reversed by SYRIZA’s victory [in Greece]? We should hope so. Otherwise, we can just relax and enjoy creeping poverty and unemployment. 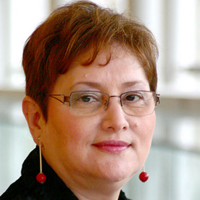 We put Pietro’s comment to Renate Weber, a Romanian MEP who sits with the liberal ALDE group in the European Parliament, and is a member of the Committee on Employment and Social Affairs. How would she respond? I don’t know if this will be enough, but it will at least be a first step. Because austerity alone cannot bring growth, and we have already been living for more than five years looking at a very powerless sort of European Union. We have had austerity measures, but we have had no growth. We are still trying to cope with this economic crisis which, unfortunately, is not only economic – it has become a social crisis and also an identity crisis. And this is dangerous, and is the explanation of the outcome of [recent elections]. If you look at the European Parliament, for example, you can see that the extreme right, and also to some extent the Communist extreme left, are very present in the European Parliament. So, we need to change something. The measures that have been taken so far have only partly worked. So, let’s hope that Juncker’s plan will at least help us to get through this crisis, and then, of course, we will have to do more. 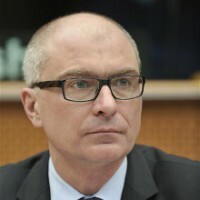 To get another perspective, we also spoke to Peter Simon, a German social democratic MEP and Vice-Chair of the Committee on Economic and Monetary Affairs in the European Parliament. What would he say to Pietro? The plan that the European Commission presented [last year] is a first step for greater investment in Europe, and it’s an important and decisive step. But it’s only a first step. If we really want Europe to be re-industrialised, to be a motor of growth, then we need a very good programme and a very good project pipeline to spend this €315 billion. I think this should be seen as a starting point for economic growth and to encourage more private investment later on. But, whether additional funding comes in future, on top of this €315 billion programme, will depend on the quality of the projects we have with this initial €315 billion. And it will depend on whether investors see that the Member States of the European Union are a good place to invest in. Concerning the question of whether austerity is killing the economy? I would say that the answer is a clear “Yes”. Will the ‘Juncker Plan’ kickstart Europe’s sluggish economy? Let us know your thoughts and comments in the form below, and we’ll take them to policy-makers and experts for their reactions! Good plan but public benefits ………..
Have you tried to ask what the eurosceptics think of all this? Or are we only to get the pro eu angle? No, but he might have an idea for big corporations how to do tax evasion. The ‘Junker Plan’ should have success if money is invested in small and middle business. And attention – don’t forget foreign investors! more of the same crap. A better economy should think of europeans as people, humans with rights and dignity who are not mere economic means of production. A sustainable growth with a currency that should take different wages in Europe into account. Europe should think of sustainable jobs, contracts with dignity, and also the right to fix inhabittation and to have a family. I do not expect a kickstart. More things should be achieved first. By the way, I’m going on a 1 million pound shopping spree this weekend, I actually only have 10 pound in my wallet…. but when I win the lottery tonight I’ll be fine…..
No it won`t…not that i give a toss. No way,to help the economy lower taxes. Shure, we can expect a lot from the mastermind of tax dodging…! Looking forward to interacting with the Plan administrators to see how we can get projects funded together. The right time for a massive investment program. The Juncker Plan will not help economy because it is based on a false assumption, that 11 billions will kickstart, as a spring, 300 billions of investments. Even if this was the (unreal) case, the territorial and income distribution of the money will keep being unequal, not solving at all the problem of low internal demand and disparity between Northern countries and Southern ones. No. Europe needs structural reforms, no more (or less) public spending. We need more integration and the benefits derived of clearer rules, more transparency, etc…. This is impossible if we do not stop disguising the real problem: The European Diamond broke after the 1990s. It needs and integral reconversion. They have not done it. And the peripheral countries have been subsidising the Core banks and industries since the early 2000s. 315 to reconvert the Core is not a bad idea, but you haveto be hhonest and recognise what has been happening during the last 15 years. Rigged Based rules. Rigged interbancaire interest rates. Rigged rules because german (and french, and italian) politicians are protecting their companies against the citizens interests. Specially, but not uniquely, against the peripheral citizens (swedes, finnis, british, or spanish citizens). Don’t know. Whish good luck! Not for those whose reason for living seems to be to complain & blame others without helping themselves. Opportunity is out there. I am skeptic about this program because if Europe doesn’t make re-installation whole system in new way, with new young and ambitious politicians we couldn’t wait long and stable economic and standard growth in Europe. Europe huge problems which this politicians made, and they must have consequences. Junckers ideas are simply more of the same. No matter what the pretense is. There is only one way we know of to rid the Europeans of these robbers. Unless Europe is ready to take the same action as the Icelandic people, nothing will change the suffocating hold the Central Banks have over the economy and the European citizens. And it is obvious the politicians, all of them, have no intention of making a serious move to be rid of this cancer we are living under. Now, the question today is, why do European, British and the rest not want to do what this country did and free us all from the Austerity that can never work? Who are these bankers, who are the beneficiaries of this enslavement of the people? Why is it in their interests to keep this mess going when they know and have witnessed how to end it? The excuses are wearing very thin indeed. Greece is fortunate, they have a group of men who have the strength of Titans. And as a side issue, if his plan fails, as it will, will he be handing back the money he is taking from the European people as pay for this old rehash of the same crock? And if not, how is it these people are never ever accountable for their fraud? In my humble opinion I think this can be a good plan. But only if EU have a good and detailed plan. Putting money in internal affairs isn’t enough. In Portugal – and I speak as a Portuguese fellow – we have some (serious) problem with corruption. Here, people are not informed and they don’t know how European Union works. From this framework it’s very easy to have corruption in your country. I have in my! But this plan is more than (the possible) corruption in countries. If the EU can bring to light a good plan, with anti-corruption attendance, I think that we can grow a little bit. Attention, I’m speaking about small and middle businesses. Great companies don’t generate so much jobs like the others. Nevertheless, I’m a little bit skeptical. For example, in my country the problem was not the markets or the liquidity. Trying to accomplish the EU rules gave to my country and my generation a large scale of unemployment and no expectation in the future. A last word to reinforce my position: I say yes to this plan, but my yes requires a good plan of action, a detailed one, with many service of attendance to prevent corruption, tax invasion, etc. This is not just a yes, is a yes with guaranties. I’m quite pessimistic regarding this “Bigger Plan”, I bet this is another “rich got richer” kind of deal behind smoke and mirrors. Until Europe will not step away from german autistic rigidity, expect no good news. Is still Merkel’s way or the highway for most of europeans. As usual it will be simply too little too late. I had the same idea! Can anyone send me a million euros? I want to implement my million euro plan to stimulate the local economy here, except I only have a few hundred to spend. Please help out our local economy by sending me money, it’s all for a good cause! My dream is to be rich enough to qualify for a Juncker tax deal. Let’s hope he wasn’t inebriated when he dreamt up his ‘plan’. wages and working conditions with stable contracts, for example. A good treatment of workers. 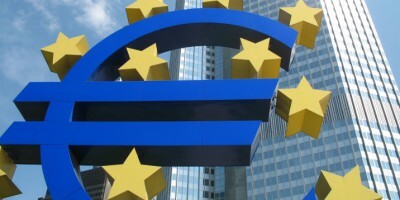 Who is trying to kickstart Europe?s sluggish economy? US is better because they can do it but EU can’t . investments and re-industrialization across the block..invest in new industries, change the educational system in all countries to train youths, to fill those new positions opened by the new industries…in other words, investments, not solely austerity and saving the banks… let the banks fail.our leaders give the juicy meat to the banking sector, while the bones to the future of this continent, the youth and their education or employment plans…absurd, shameful and outrageous…!!! Self motivation. Less complaining. Appreciating how much we have & the opportunities that already exists. Embracing change. Realizing we, citizens & residents are what create a country & an economy, not the other way around. Stop making false promises about education and jobs and opportunities and start working on real education and real jobs and real opportunities… stop pandering to the large companis and start promoting small companies and entrepreneurship… and you will be pleasantly surprised. Yes- THE “Juncker Plan”? Wrong people! Cornered & at-wits end- ‘installed’ politicians resorting to phantasizing (lying) to bewildered citizen, buying time & saving THEIR skin! QE- ECB- printing press- dishonest & greedy banks- the 1% tax avoiders- stock exchange casinos- off shore investments & tax havens- increased public debt & rising debt/GDP ratios – less social care- more cheap labor- burden next generation- wait for implosion- fall from grace- blame unforeseen circumstances! THE END & a new beginning! Dismantle the EU & return democracy to the nation states, anything else will just prolong the misery. put money into industry again, stop buying chinese stuff. make our own and pay better…. 200 billion Euros Global Capital Investment In Mt Olympus Ventures on the Athens Stock Market will spur 1.6 trillion Euros in European and Global Economic Growth. Gerry, please expand & clarify your theory that the Greek stock exchange (it is unclear which “GLOBAL venture”?) will & is capable to “spur” a 1.6 trillion bonanza for the whole of Europe! Is that a jolly joke or a serious alternative to the “Juncker Plan”- the Greek “Gerry Mavrie-Yanaki salvation Plan” for Europe? How? Lower tax,Less red tapes, Less bureaucracy.to kickstart the economy. Tax the wealthy,fund small and medium companies,strength welfare,cut taxes on hardworking families and negotiate on fair trade trade deals with other countries. If I had The answer to that, I probably would be better paid than I am, but I firmly believe in some form of stronger incentive for starting up and running small business. I think a multitude of smaller companies are better for the overall growth than a few multinational Giants. Ulf, ….honestly, nobody really has- except the all knowing EU lawyers fraternity! The pretense & luxury of an “EU block democracy & prestige” costs ~144 to ~148 billion Euros/annum to keep alive. ~5.9% or 8.4 billion Euros are its “admin overheads”- to make this star shine bright blue & bushy tailed! If compared to a “productive private company”- would it be worth spending 148 bill Euros/annum- or could one have something similar- a leaner & meaner democracy, more home based, more efficient but much cheaper? One more time. Get rid of the bankers and follow Iceland. Why do you think the mob running the EU show won’t do that? Could it be because they are in bed together and the slaughter of one is the slaughter of them all? What they are following is, in fact, called the Bangladesh method. Force us all to accept the wages of the third world. That way we will be able to compete on the world stage. Globalisation is the means to impoverish us all whilst those at the very top get richer by the second. The best way to rob a bank is to own one! Producing home instead of importing….even needles and toothpicks are imported…..!!!!!!! First of all – elimination of corruption. Second : massive investments. They should focus on getting rid of destructive neoliberal economic policies. And on blocking destructive ‘trade’ treaties like TTIP (which really isn’t about trade, but about implementing American standards for everything). Junker is a corporate moron, stooge and spokesman , his employers are the american bankster/oil cartels.. The man isnt the least bit interested in us , the people. Hes smells cash a mile away and will do what it takes to increase his portfolio. Dont be fooled by these slick willies, theres always a snake under the grass and its us who will be bitten..
EU elite are not to be trusted, theres no reasoning with them. 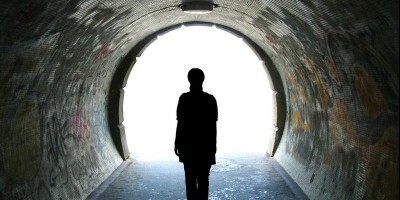 Tunnel vision and money is what drives them!! They have put us a sinkhole of debt for thier failed project. Really? Who’s stopping you to do whatever you want to do?! Europe needs much more liberal starter entrepreneurial policies. It should be that anywhere in Europe one should be able to incorporate a limited liability company with 100 Euros of minimum capital or even less. We don’t have a culture of try and fail and try again. We have a good, and the worlds most competitive corporate culture (we do everything best once we know it is worth it) but we don’t have initiative as much as we should. 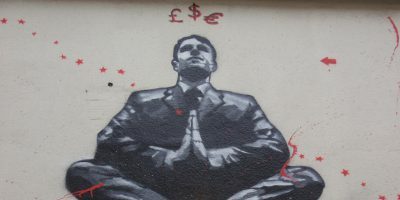 Is the European economic crisis over? 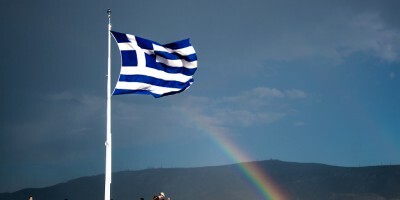 Greece voted ‘No’… Now what happens? Can central banks prevent another global crisis? Ten years after the financial crisis, do you feel safer?